Overcrowding and public safety are the concerns which sparked a demonstration of Sydney bus drivers at the Parramatta Bus Interchange late last month. The interchange – located just outside the CBD – sees about 3000 buses pass through each day. Bus drivers argue the facility is not designed to handle the volume of vehicles using it and also the amenities are not up to scratch – both posing a risk to public safety. Up to 50 drivers participated in the strike in hope of Transport for NSW taking notice of the issues and making a change. 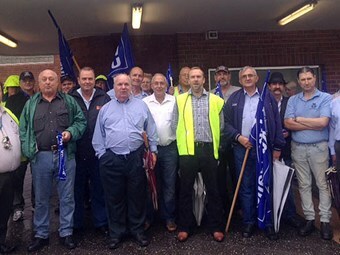 TWU New South Wales official Nimrod Nylos says the action was a success, with a meeting planned between the organisation and union delegates in the coming weeks. "We’re determined to keep highlighting the issue until such time as the facilities are resolved and the public safety issues are confronted."